● The on-line publication of Eric Sams's writings, including previously unpublished essays, reviews and letters. 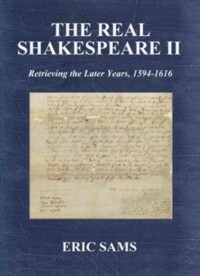 On this 1000-pages website: 150 essays, 500 reviews, 300 letters on Music, on Shakespeare, on Cryptography; Opera reviews; Schubert, Schumann, Wolf work-lists; Schumann and Elgar Enigmas; The Real Shakespeare II: first edition of the posthumous sequel; the Sams/Shakespeare Archive: unpublished essays, reviews, word-lists, first drafts; Bacon and Shakespeare: letters to and from Nieves Hayat de Madariaga Mathews; the Sams/Andrew Porter & the Sams/Maurice Brown correspondences; the Cryptographic Papers: solutions to ciphers, etc; essays on Eric Sams; interviews; video clips from Code and Cypher, etc. 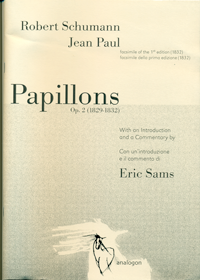 ● Italian edition of the Collected Works by Eric Sams in 15 volumes (11 volumes already published). ● The Italian translation, and online print/reprint, of significant English, American and German texts on the history and aesthetics of German Lied; online print/reprint of Lied-related essays in original language; the application of the "Samsian" analysis to new written Lied-related works. The present web-site would have never been possible without the help and support of Richard Abram, Andrew Lamb, Richard Sams and Audrey Twine. I'm much obliged to Jeremy and Richard Sams for permission to reprint their father's writings. My grateful thanks to Peter Phillips and The Musical Times.